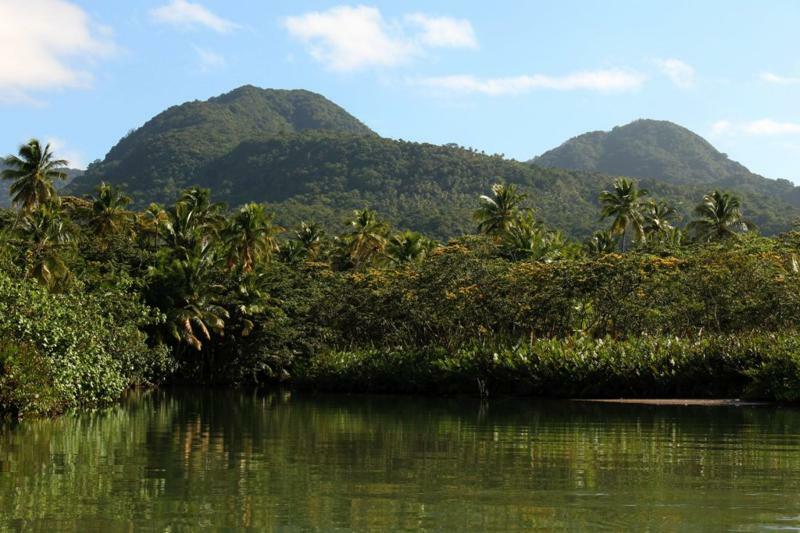 It’s a lazy day in the Caribbean, just like the day we took a relaxing ride down the Indian River at Dominica. Our guide, Alexis, painted us a lovely picture of the history of Dominica and the Carib Indians who lived on the Indian River. 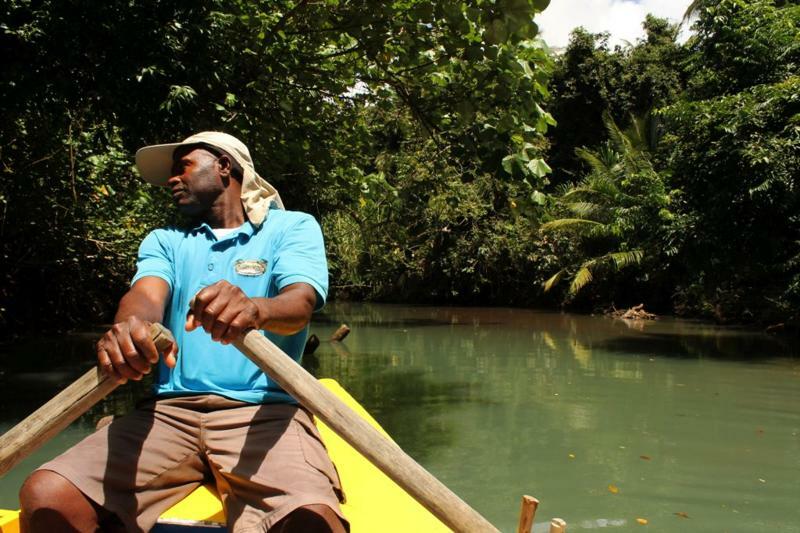 The river is a protected area of Dominica’s National Parks; no engines allowed! The stillness of the river is amazing. 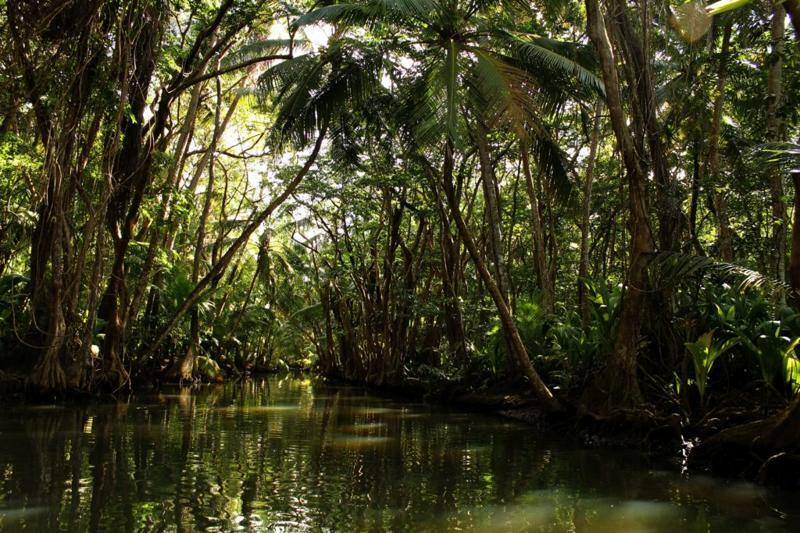 Canopied by bloodroot trees which line the river’s banks, this haven is home to an abundance of wildlife; birds, fishes, crabs, lizards, and crayfish to name a few that we easily spotted during an early morning tour. 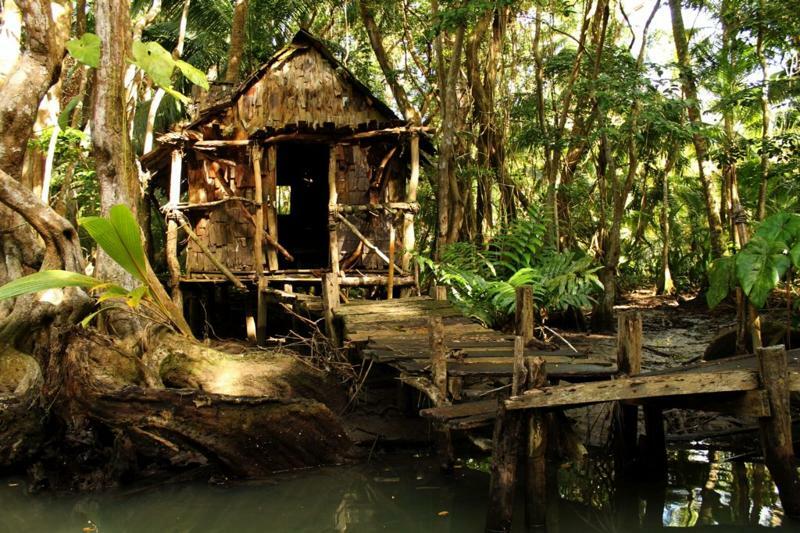 Local Dominicans built this house in the traditional Carib fashion with traditional materials; it was built specifically for the filming of the movie, Pirates of the Caribbean: Dead Man’s Chest. This is the scene for Calypso’s House. 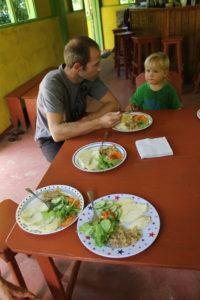 A short hike to Alexis’ family farm, where we had a fabulous lunch prepared by Alexis’ brother; all fresh ingredients comprised a meal of fire-roasted breadfruit, salt fish, and salad.